An appeal petition filed by Opposition Leader Mahinda Rajapaksa challenging the Court of Appeal Interim Order that restrained him from functioning as the Prime Minister was today fixed for February 6 by Supreme Court. When the petition came up before Supreme Court three-judge-bench comprising Chief Justice Nalin Perera, Justice Priyantha Jayawardena and Justice L.T.B. Dehideniya, counsel who appeared on behalf of the respondents including parliamentarians representing UNP and several other political parties informed court that their clients have sought instructions to withdraw the original writ petition filed in the Court of Appeal. Meanwhile, the attorneys appeared on behalf of former Prime Minister Mahinda Rajapaksa and members of previous cabinet informed court that their clients will also consider to withdraw the appeal petition if the writ petition was withdrawn by the petitioners. On December 14 last year, the Supreme Court three-judge-bench comprising Justice Eva Wanasundara, Buwaneka Aluvihare and Justice Vijith K. Malalgoda unanimously refused to set aside the Interim Order issued by Court of Appeal restraining Mahinda Rajapaksa and 48 others from functioning as Prime Minister, Cabinet of Ministers, the State Ministers and Deputy Ministers respectively. 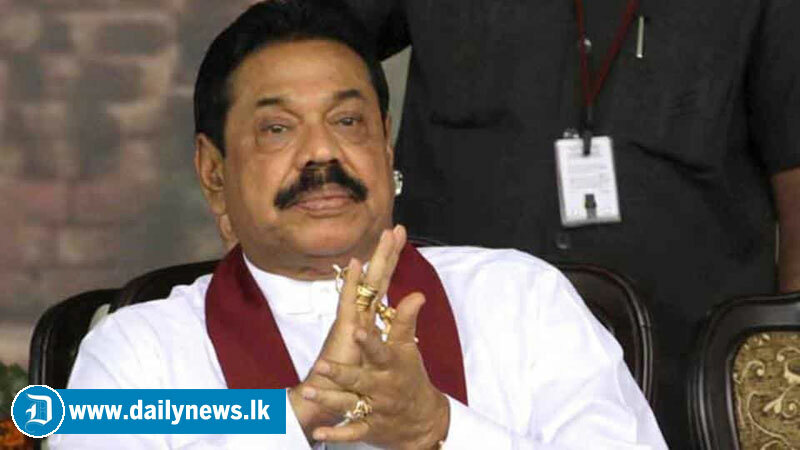 However, plurality decision of Supreme Court three-judge bench decided to grant leave to appeal with four appeal petitions filed by Parliamentarian Mahinda Rajapaksa and several others. Justice Vijith K. Malalgoda made a dissenting order to reject these appeal petitions in limine. The Supreme Court had also issued an order staying the Court of Appeal proceedings pertaining to Quo Warranto application until the conclusion of Supreme Court inquiry. Through this appeal petition, Parliamentarian Mahinda Rajapaksa sought an order to set aside the Interim Order dated December 3 by Court of Appeal. Mr. Rajapaksa alleged that the Court of Appeal erred in its failure to take cognizance of the absence of a proper and legally countenanced application before it in terms of the law in as much as inter alia the failure of the 122 MPs to have supported their application with affidavits countenanced by law. The Court of Appeal on December 3 issued an Interim Order restraining Prime Minister Mahinda Rajapaksa, his Ministers, the State Ministers and Deputy Ministers from holding their respective offices until a final determination is reached with regard to the Quo Warranto writ petition filed by 122 Parliamentarians, including Ranil Wickremesinghe. President’s Counsel K. Kanag-iswaran with counsel Suren Fernando appeared for petitioners. President’s Counsel Gamini Marapana with Counsel Navin Marapana appeared for Prime Minister Mahinda Rajapaksa. President’s Counsel Sanjeewa Jayawardena and Manohara de Silva PC, Ali Sabry PC, Romesh de Silva with counsel Sugath Caldera and Kushan de Alwis PC and senior counsel Kanishka Vitharana appeared for the other respondent-petitioners.